What does it mean to be sheltered? It’s a subject that many people are confronted with in today’s immigration crisis. What should it mean to be sheltered? We think it’s a place that gives you a sense of security and closedness yet is welcoming and hospitable at the same time. 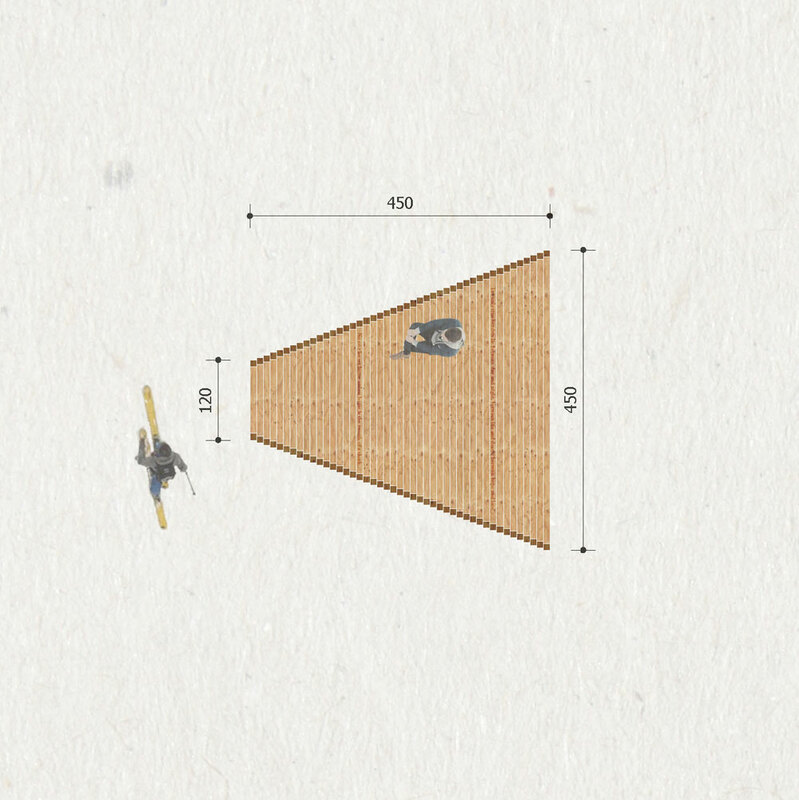 For our pavilion we propose a physical shape that embodies these experiences. To identical rectangles are turned relative to each other and connected together generating a complex shape. 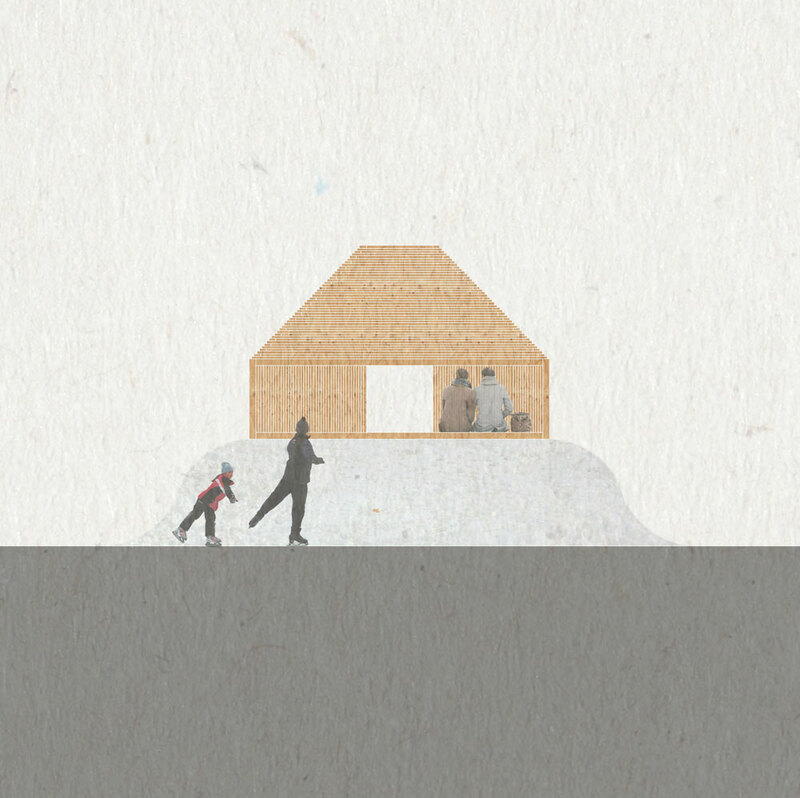 One rectangle, representing a door, embodies the hospitality welcoming passerby to enter the hut. 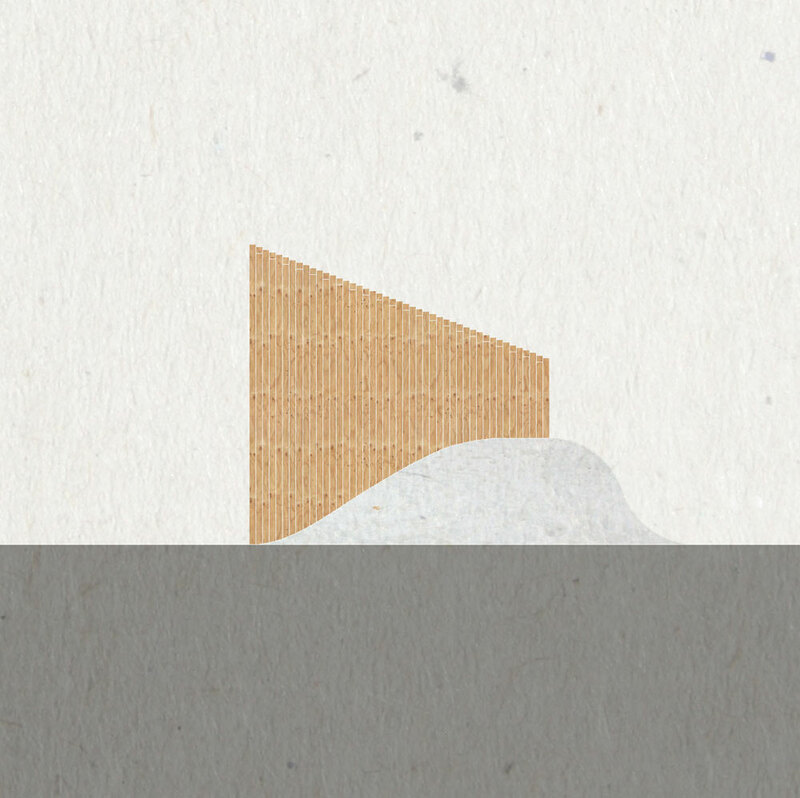 The other one, representing a window, embodies closedness letting the visitors contemplate on the hut and its surroundings from a safe distance. 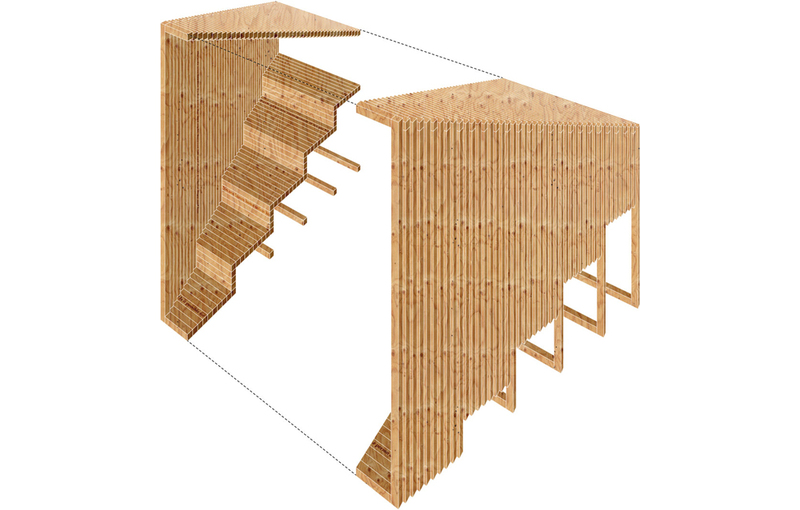 The shelter is constructed in a simple way out of identical wooden beams with different lengths. 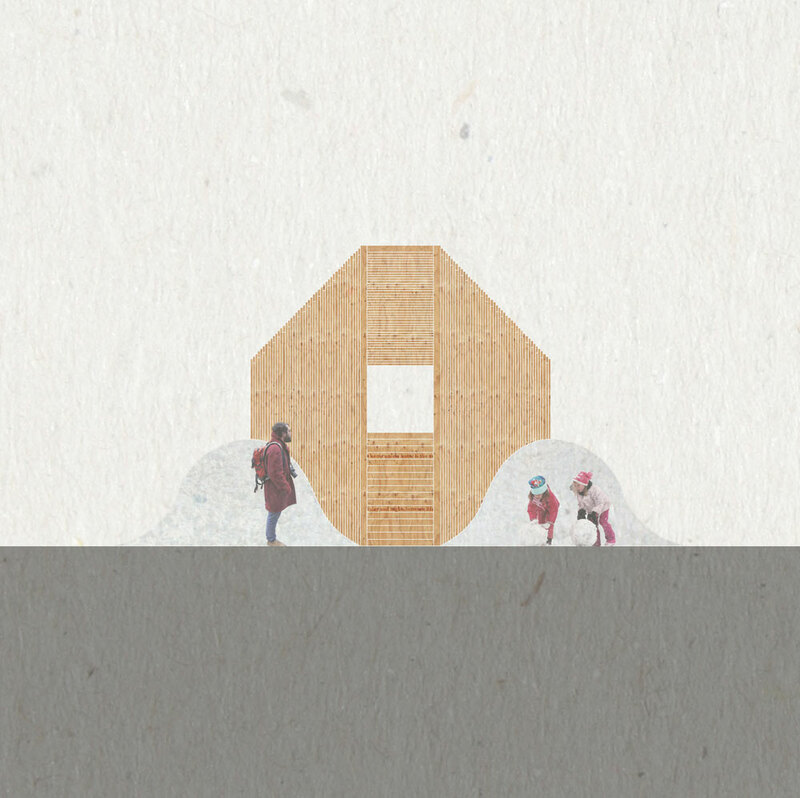 They are vertically placed against each other reminiscent of log cabin constructions. To add an extra dimension we propose to engrave 10 quotes, sayings that reflect or make a statement about themes such as, migration, home, shelter, borders, identity… The same way Michel de Montaigne, a French philosopher in the 16th century, engraved Latin sayings in the beams of his study to remind him of essential truths while working. 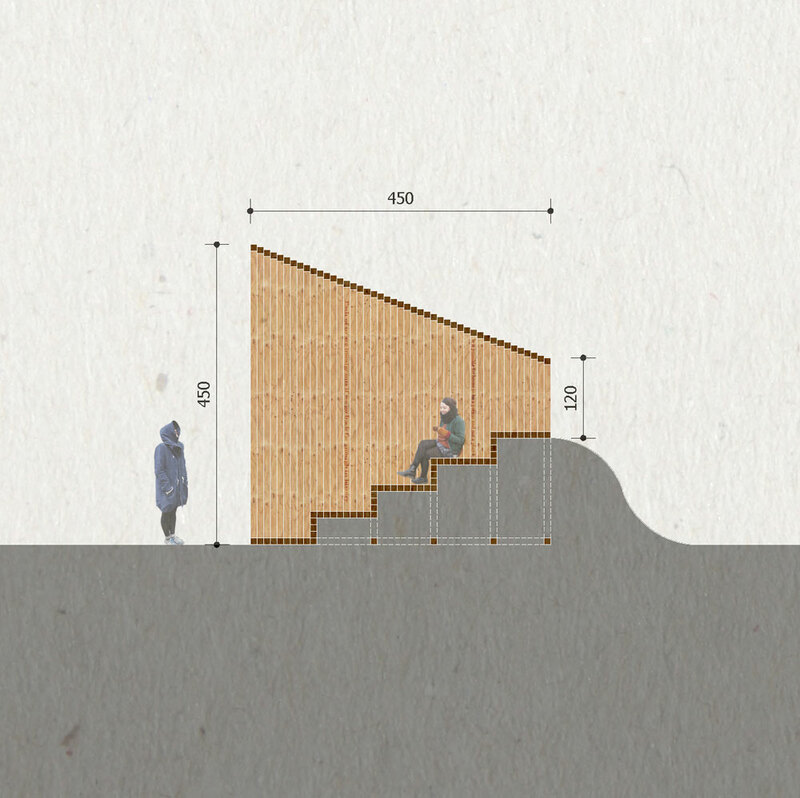 This will put an extra focus on the inside of the pavilion creating a moment of inner thought and reflection.